Prepare for the show of a lifetime! That's right, this year the The Forum is proud to present Journey & Def Leppard live on Sunday 7th October 2018 – internationally acclaimed and raved about worldwide, this performance will be like nothing you’ve ever seen before! Grab your tickets NOW while you still have the chance!! Don't get caught out with service fees or shipping charges on your order. Purchase tickets direct from this website to avoid hidden fees! The American rockers, Journey have been a firm standing influence on the music scene, with their first big break in San Francisco all the way back in the early to mid 1970's, all throughout the 80's and even up until to this day. With their massive worldwide successful anthem, "Don't Stop Believin" released in 1981, it not only took to the top of the charts at the time but throughout the years has been featured in so many various things and time and time again became a hit! Another of Journey's classic songs include the likes of "Open Arms" which was part of their No.1 hit album, Escape, which took over the US charts and their next album well and truly put them on the map in the UK – "Frontiers" broadened their horizons, giving them their worldwide mass appeal. Together they have produced a wide collection of music from two Gold albums, eight multi-platinum records and two diamond albums – there's no one quite like this group! They are one of the world's best selling bands of all time and the fifth best selling band in Rock history in the US alone! 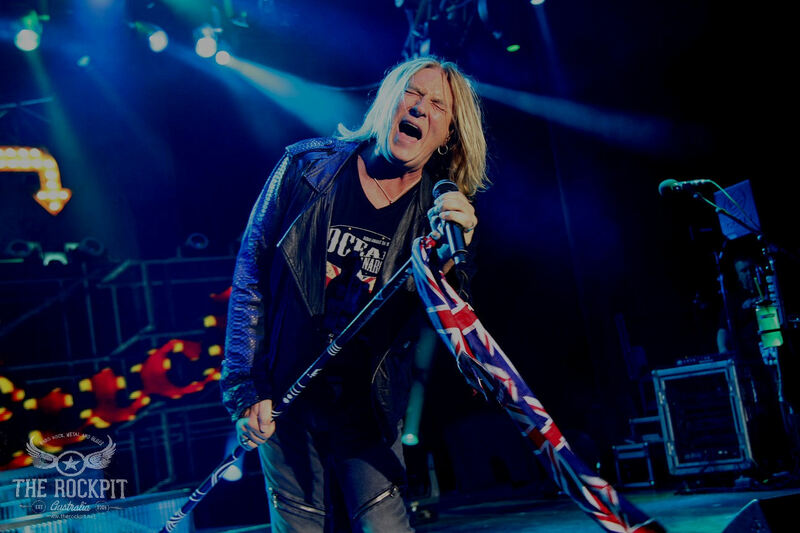 Def Leppard are representing the UK on this touring stint as they are equally one of the most influential bands on the planet, more so towards the classic rock genre. These guys are of course; Joe Elliott (lead vocals), Rick Savage (bass, backing vocals), Rick Allen (drums, backing vocals), Phil Collen (guitars, backing vocals), and Vivian Campbell (guitars, backing vocals). During the 1980's Def Leppard hit the ball rolling and smashed the charts with albums such as High 'n' Dry and it was then that they truly developed on their music style. During the 80's decade, Leppard were involved in making incredible music videos to go hand in hand with their sound and in 1983 they were ready to release yet another album which included tracks such as "Photograph" and "Rock of Ages" – with these they quickly became a household name not just in the UK but globally. The album Pyromania gained diamond (10× platinum status) at the time and would later be ranked at 384 on Rolling Stone's 500 Greatest Albums of All Time. This is just the beginning of a long line of history that Def Leppard have been on and 2018 brings them along with Journey for yet another out of this world tour across North America! Come and be a part of that very special stance! Tickets available to book above today.